Despite its reputation as a home for retirees, the state of Florida is very strict when it comes to automobile insurance rules and regulations. Even basic Florida auto insurance can be expensive if you don't know what you're looking for or what limits you're actually required to have. Every state has different rules and regulations regarding financial responsibility and how to prove you have the funds to pay if you are in an accident. In the state of Florida, the only acceptable method for proving financial responsibility is by purchasing automobile insurance from an approved company. The minimum level of insurance varies from state to state and you'll be surprised to find that the state of Florida does not necessarily require drivers to purchase bodily injury liability coverage. This is because Florida is a no fault state so if you are in an accident, regardless of who caused it, you will be responsible for paying your own medical bills through your own policy's personal injury protection plan. The minimum requirement for personal injury protection (PIP) under a basic Florida auto insurance policy is $10,000. The minimum requirement for property damage liability, the coverage that would pay for the damages you cause to someone else's car or property, is $10,000. Just because you aren't required to purchase bodily injury liability coverage on a basic Florida auto insurance policy doesn't mean you shouldn't. Bodily injury liability coverage is important because it will help to pay for serious or permanent injuries, or for costs associated with a fatality, if you cause an accident. Your bodily injury liability coverage also entitles you to legal representation from your insurance company if you cause an accident. Are Minimum Limits Worth the Price? You may be tempted to buy the most basic Florida auto insurance policy possible but is it really worth the price to have limits that are so low you end up having to pay out of pocket if your liabilities exceed your limits? By using our site to obtain competitive car insurance quotes you may just find that there are better options available than a simple basic Florida auto insurance policy. 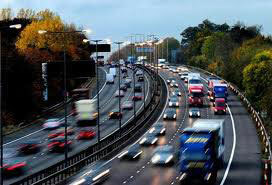 Simply give us your vehicle and driver information, let us obtain quotes from local carriers, and compare the rates. You may just be surprised to find that the best coverage isn't always the most basic!